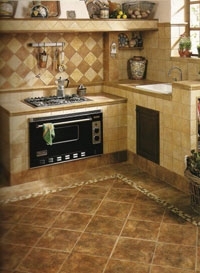 Tile flooring is known to last. Not only is tile flooring easy maintenance, but its also cost effective. A lot of people are using tile flooring as a substitute to carpet. Tile is usually found in the kitchen, breakfast area, utility rooms, bathrooms, countertops, and some showers. Just like carpet, your tile flooring need professional care. So rely on our certified expert technicians at Bradford Floor Care to keep your tile clean and brilliant with cutting edge technology. Ever notice how your grout lines become discolored? That’s because over time from heavy traffic dirt and grime are slowly being absorbed into the grout. 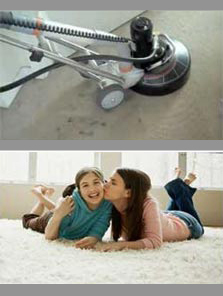 Bradford Floor Care offers the finest and incomparable tile and grout cleaning in Dallas, while we use state-of-the-art equipment to remove dirt and discoloration. We use a steam cleaning process and power scrub grout brushes, our trained technicians remove the grime that seems almost impossible to clean. After your tile countertops and flooring is thoroughly cleaned by Bradford Floor Care certified technicians. Extend the life of your ceramic tile by sealing the grout lines to protect your investment. Since the grout lines are very porous protecting them with a sealant keeps dirt, grime, and spills from absorbing in to them, leaving a longer lasting beauty than just a regular cleaning.